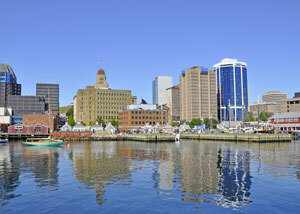 A rising interest in real estate in Eastern Canada has spurred Colliers International to expand its office services in Halifax office. The new real estate management additional will provide a number of services, including property management, leasing, project management, valuation and taxation. Colliers currently provides property management services for more than 278,000 square feet of commercial space in Nova Scotia and New Brunswick. The realtor manages properties on behalf of its clients, True North REIT, Standard Life Investments and a private client. The new office is currently staffed by one individual, but Colliers anticipates adding at least one other staff member in the next month. According to John Duda, Colliers’ senior vice -president for Eastern Canada and national accounts, companies are beginning to look to Atlantic Canada secondary markets for deals. Halifax is certainly on the radar, Duda said, but so are smaller cities such as Fredericton and Moncton. Earlier this year, Colliers announced it had secured the management agreement for three office buildings totaling 200,000 square feet in three locations in New Brunswick for True North REIT. Duda said investment in the resource industry is buoying optimism in Atlantic Canada. He pointed to the offshore drilling around Newfoundland & Labrador and also cited the deep sea port at Belledune, N.B. In July, Property Biz Canada reported the Cape Breton Regional Municipality was pursuing the establishment of a container in Port of Sydney, yet another example of a promising venture in Nova Scotia. In March, TransCanada Corp. took the first steps toward obtaining regulatory approval for its proposed $12-billion, 4,600-kilometre Energy East oil pipeline. The company wants to convert an existing natural gas pipeline and build about 1,600 kilometres of new pipeline to transport crude oil from Alberta to the Irving Oil refinery in Saint John. That said, Duda noted that whether a new development would meet their investment criteria is a tricky question. He recalled seeing a panel in April where all the lead investors for such large owners as Manulife and Oxford were at the table and no one could agree on investment criteria. Duda said his job is less about trying to attract other funds and investors and more about understanding what his clients want and helping them get there. Duda, who has been in the real estate industry for 17 years, previously worked at CBRE before joining Colliers about five years ago. Besides looking after Eastern Canada, Duda is responsible for the company’s national accounts. Those add up to about 46 million sq. ft., roughly evenly split between industrial, office, retail and multi-residential. In the East, Duda said leasing has been strong and consistent.